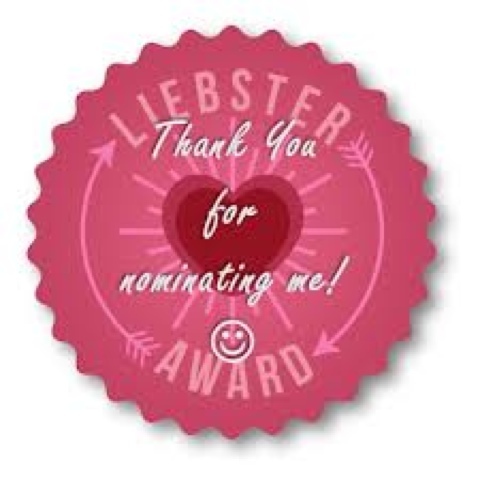 Well I was sooooo excited yesterday after finding out the Catornia Louise from Sitting Under The Apple Tree nominated me for a Liebster blog award. I was eekkkking allover the place and then released I didn't actually know what it was ( I've only been blogging for just over a month and its all new to me!) So before I start shopping for an Oscar dress to wear to what I thought was going to be a star studded event I thought I should find out what is was. Putting the credit card away, i started reading about it, it's actually a really good idea. It's a way of small blogs and lesser known ones to get more notice and happfully I few more followers ( sometimes I do feel like I'm writing to my self lol). *Right, next you have to nominate 11 bloggers that have under 200 followers. * Then make up 11 new questions for them to answer. 1. I never starting reading any blogs until about 2-3 months ago! I know I live under a rock. 2. I LOVE watching The Only Way is Essex and Made in Chealsea. 4. I love nothing more than having a duvet day and laying in my onside watching crap telly all day! 5. I can not last a day without checking twitter and Facebook on my phone about 50 times, I'm addicted! 6. I started clubbing and going out drinking when I was 15, but the time I was 18 I was bored of it lol. 8. My favourite word is PLOP. 9. I've only ever punched/hit one person in my life, ex boyfriend , he deserved it!! 10. I am NOT a morning person at all, takes me about 30 mins for wake and have a conversation with my hubby! 11. I never had a pet as a child and didnt really want one as an adult. Two years ago my hubby brought home a kind charles cavilier puppy! 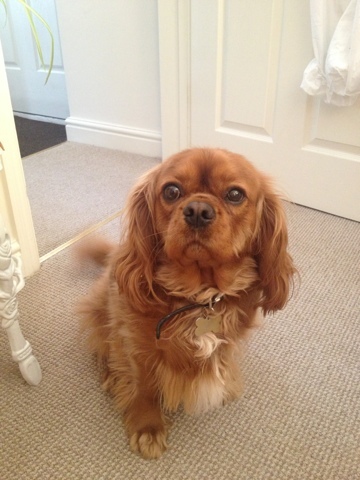 i feel in love with him straight away dog and could now never imagine my life without him, Arrrrrrr. Ps he's called Brian after the alcoholic dog from family guy. Q. What is the first blog you ever read? Q. Your favourite flavour of ice cream? Q. Favourite shop on the high street? Q. What's you dream home like? Q. Which of the main cities in the world is your favourite? A. Having only really been to London is hard to say, but I would love to go to New York, see the sites and spend shed loads of cash shopping. Q. What was your first blog about? A. It was about Christmas beauty boxes I was making for friends. Q. Have you ever met anyone famous? A. Jade Goody and Dean Gaffney in a nightclub. 1. Use one word to describe yourself? 2. One thing you can't live without ? 4. Your best ever memory, it could be a place or moment? 5. If you have to be an animal what would you be? 6. If you could only choose one which would it be Twitter or facebook? 8. When you go shopping do you head for the designer or high street? 9. What would be your ideal holiday? 10. In your opinion, which came first, chicken or egg??? 11. And finally, could you live with modern technology for 1 week ( no tv, phone, laptop/tablet/PC games console.